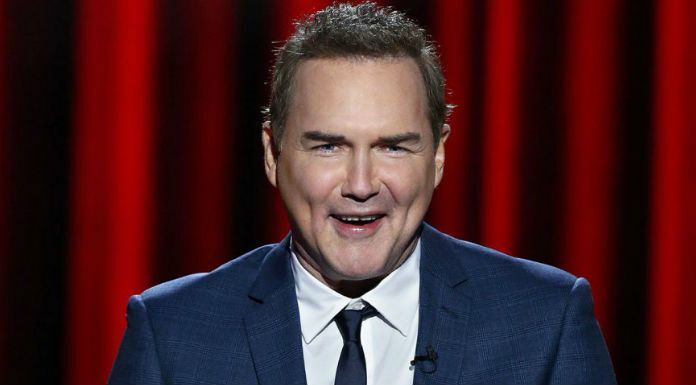 Norm Macdonald is a Canadian stand-up comedian, actor, producer and writer, known for his great sense of humour. He is particularly known for presenting the Weekend Update on ‘Saturday Night Live’ for five seasons. He began his comic career by performing stand-up comedies at local clubs in Ottawa and also performed at ‘Just for Laughs’ comedy festival held in Montreal in 1987. After understanding that he needed a wider audience to showcase his skills, he moved to Los Angeles, started working in the sitcom ‘Roseanne’ and even appeared on shows like ‘The Drew Carey Show’ and ‘NewsRadio’. In 1993, Macdonald got a huge breath rough in his career, when he joined NBC’s ‘Saturday Night Live’ (SNL) and later went on to anchor the ‘Weekend Update’ segment. His comedy genres are deadpan humour, irony, political satire, surreal humour, and back comedy. In fact, he is great at it and he is one of the few comedians who can never be ignored – either you love or hate him. During his stint with SNL, he got fame and recognition for his notorious and ironic remarks on public figures. Macdonald was born on October 17, 1963, and is currently aged 54 years. His body statistics are currently not available. He made his debut in the 1995 American comedy film Billy Madison by Tamra Davis. He played the role of Frank in the film. He joined the cast of the reality talk show ‘The Dennia Miller Show’ as a writer. Macdonald is a well-known television star of all time with an estimated net worth of $2.2 Million US Dollars. He has also appeared in several movies and his stand-up comedy shows form the main source of his fortune. In 1993, Norm Macdonald joined NBC’s ‘Saturday Night Live’ (SNL) television program as a writer and a cast member. There he performed impersonations of different celebrities like Larry King, David Letterman, and Burt Reynolds which had the audience rolling in laughter. He was fired from SNL in late 1997 as the anchor of the ‘Weekend Update’, ostensibly the reason being that MacDonald was “not funny”. In 1998, he voiced the character of Lucky the dog in the remake of ‘Dr.Dolittle’ starring Eddie Murphy. He reprised the role in the sequels ‘Dr.Dolittle 2’ (2001) and ‘Dr.Dolittle 3’ (2006). Norm Macdonald appeared on the Celebrity Edition of ‘Who Wants to Be a Millionaire?’ in November 2000 and won $500,000 for Paul Newman’s Charity Camp. He was a frequent guest on ‘The Tonight Show with Conan O’Brien’ during 2009 and 2010. He was married to Connie and they together have a son, Dylan. Macdonald continues to evolve in his standup, moving towards a more reserved, deadpan style. On stage he has claimed to have “no opinions” and the minimalist delivery has been described by The A.V. Club as “reduc[ing] gesture and verbiage down to an absurd minimum.